Looking for parenting shortcuts to save you time, money and frustration? 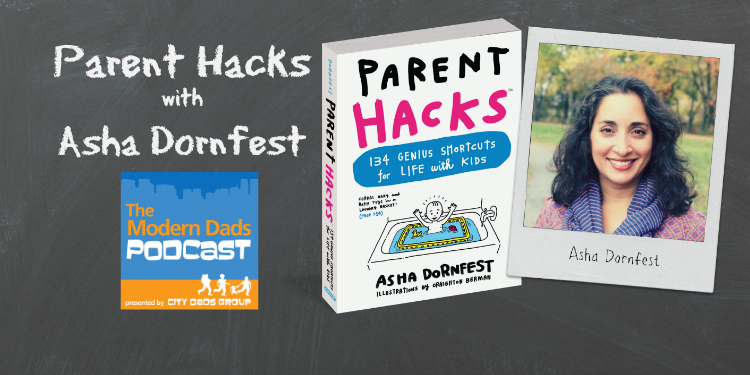 Good thing we have Parent Hacks author Asha Dornfest on the latest Modern Dads Podcast. Dornfest’s popular website has at last become a book, Parent Hacks: 134 Genius Shortcuts for Life with Kids. (We gave Parent Hacks a favorable review back on March 25.) Now she’s on the air with us talking time and money management ideas that will lead you to parenting success and some semblance of sanity. Dornfest speaks about some of the many parenting shortcuts moms and dads around the world have come up with to make their lives easier. She also discusses the online #ParentHacks community it has breed. The Parents’ Phrase Book author Whit Honea of our Los Angeles Dads Group also contributes to this podcast. This time, he explains what happened when his boys lost their electronics privileges over spring break.